When you need reliable transportation for your club hopping needs... or perhaps for those bigger events in life such as bachelor and bachelorette parties...a birthday party.... or even the biggest day ever, your wedding... you know that you can rely on Blue Moon Party Bus to make it a memorable experience! There are so many reasons to rent a party bus, not the least of which is the fact that you will not have to worry about a designated driver. Not only can you all enjoy your time at the bars and clubs or at your private events, but you can keep the party rolling on the road ! Or spend your entire time on the party bus ..... your memorable experience is our goal. 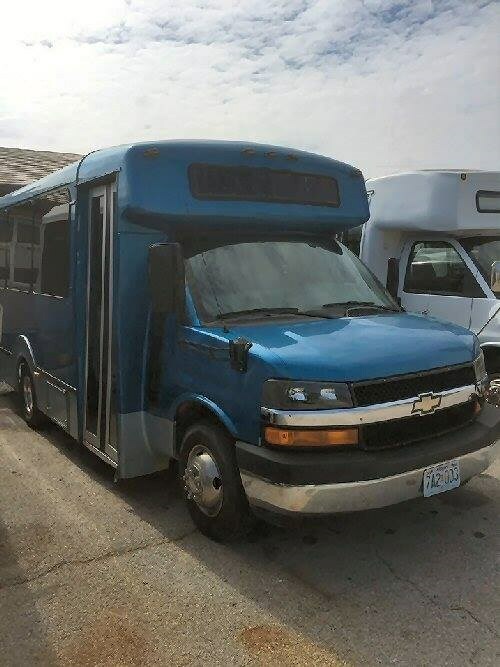 Party Bus services is our specialty.At present we tour a Chevy Express Thor Custom Coach that is a Duramax diesel with brand new interior including diamond kick plating and wrap around seating for 15 passengers. Bus has new flooring - seating - speakers - cup holders - remote controlled lighting - limo window tinting - with front/rear heat and air for your comfort. Your party will not be disappointed! New buses added soon to accommodate all size groups. We provide an extensive library of up-to-date music and many different genres. However, we encourage you to bring your own mp3 player or phone. Anything with an auxiliary jack will plug directly into our sound system. (we'll provide the cord.) We highly encourage you to bring your own so you can create your own playlist and the driver can focus on the road. 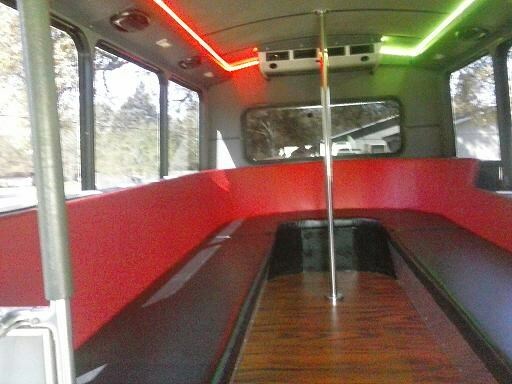 Call us today and find out about our current specials and affordable Party Bus packages for any occasion.We believe in providing a quality product, excellent customer service, trust and dependability as well as friendly drivers. Also, feel free to decorate the bus with banners - balloons - glow sticks - ect. for your event, we only ask that you remove these before trip ends. You name the Destination and Occasion! 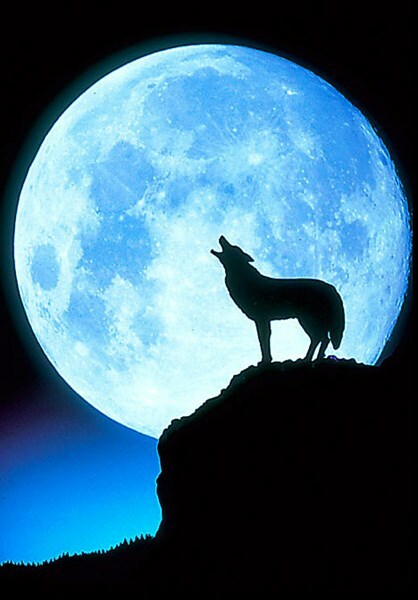 Please note Blue Moon Party Bus will also travel to College Station, Sweet Home, North Little Rock, Scott, Wrightsville, Hensley, Sherwood, Jacksonville, Mabelvale, Maumelle, Woodson, Bauxite, Alexander, Keo, Bryant, Cabot, Lonoke, England, Mayflower, Redfield, Roland, Ferndale, Benton, Wright, Coy, Vilonia, Ward, Austin, Conway, Jefferson.